ArduCAM Mini works with few pins. It takes image with many image resolutions and alos jpeg format. ArduCam Mini has many series of product. This library is only for OV2640 2M pixel ArduCam. Instantiate camera object regarding ios. We recommend to supply power to an arducam from other power resource. You should pay attention over current detection when using an obniz as poewr supply. use J1 on an obniz. This document use io5 and io11 to supply a vcc. Arducam require each SPI and I2C. Just specify connected io to configure. Or, specify configured i2c and spi object to wired function. Initialize and test a cam. You should call this function only once before take. After this startup, takeWait() can be called to take. Without calling startupWait(), you can configure manually like below. 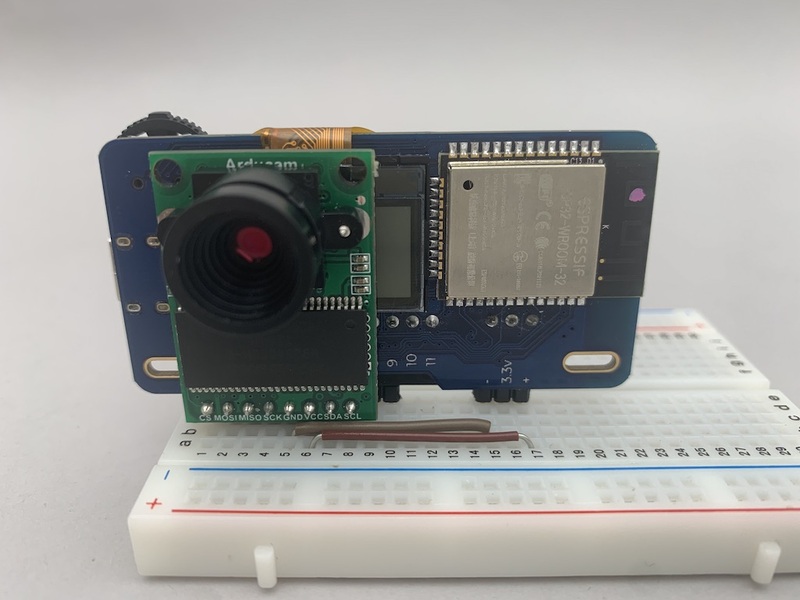 Getting jpeg image data from a cam. Please call startupWait() function before take. Set size to change resolution from default(320*240). Not specified or specified size is same as before will change nothing. Size options are same sas setSize() function. Return value is array of jpeg image. If it fail, this function throws a error or hang to wait a response form a cam. You can take a photo manually without using takeWait(). Please refer startCapture() function. convert bytearray to base64 string. In html, you can see the image by setting base64 datat to <img>tag. This function is used in startupWait() function. Testing a cam and obniz spi communication. Use this to check cam power supply correction and wiring check. 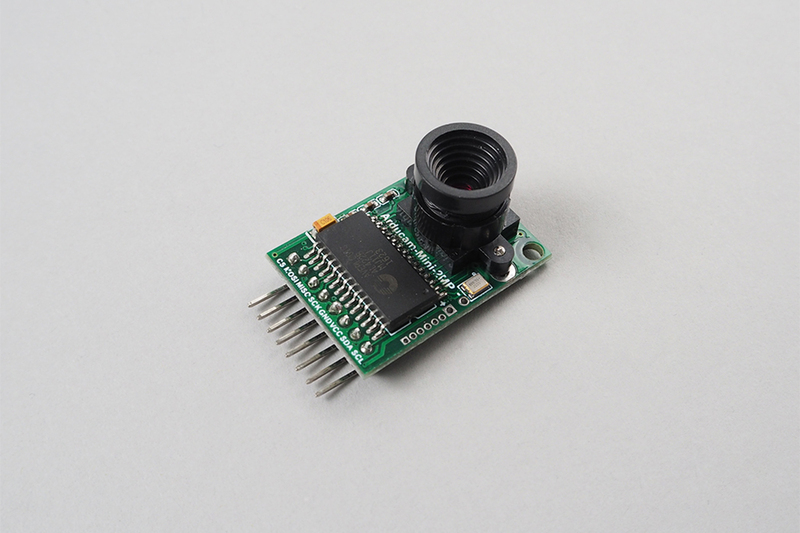 Use this to check I2C communication and validation of chip id. It does basic initialization. Jpeg mode, and resolution set to 320*240. Setting a resolution of cam. ArduCam says 1sec waiting is recommended after configrations of size. You should call twice before calling startCapture(). This function is used in takeWait() function. It takes a time. You should wait. Use isCaptureDoneWait() function to check it done. Checking photo taking is done or not. Getting a data in camera FIFO.